Interest in M&V related skills as they apply to the built environment continue to grow, by building owners, practitioners, financiers and other stakeholders in the energy efficiency sector. Our Fundamentals of Measurement & Verification training provides an understanding of procedures and workflows for developing and executing M&V plans. 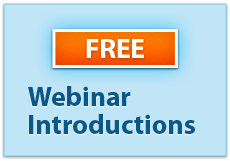 Please join us for a free 30-minute free overview of our Fundamentals of M&V training, and how it can benefit you and your business.